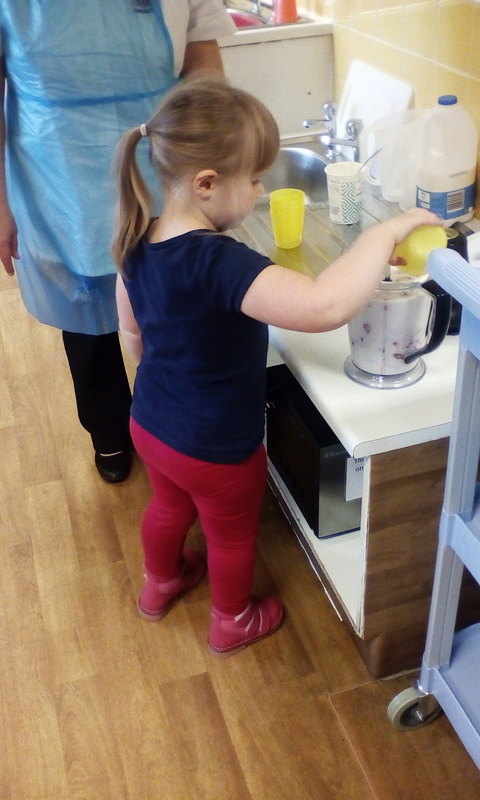 This week the Big Bumbles have been making smoothies! First of all, they used great chopping skills with their knifes to cut up the strawberries (while having a cheeky taste). Once all the strawberries were cut up the Big Bumbles transferred them into the blender and added the rest of the ingredients. The blender prompted lots of discussion about how it works and the children knew we had to be safe around it. When everything was inside, everyone had a turn at operating the blending using the buttons. They couldn’t wait to try it! Delicious.